It's little wonder that in a town like Park City, where dogs are as numerous as SUVs and down jackets, there's more than one friendly pooch playing a prominent role in at a local business. The most obvious working dogs are, of course, the hard-working avalanche dogs at Deer Valley and Park City Mountain. But they're not the only canine staff members you'll find around town. Following are five pooches taking care of business with tons of canine style. Ellie posting up for duty at the Hyatt Centric. 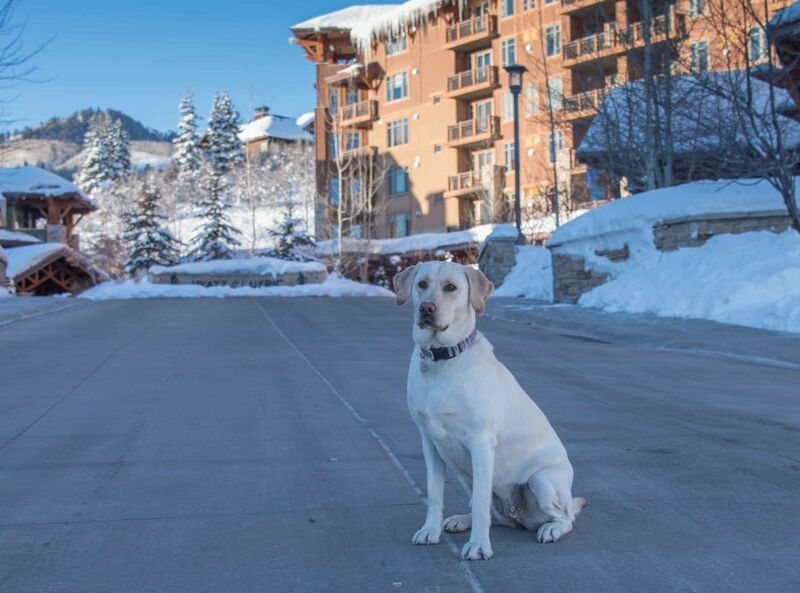 Just over a year old, Ellie is an expert at bringing to life the spontaneous travel moments the management at Hyatt Centric Park City strive to help the guests there have. Having a canine concierge definitely adds a touch of warmth to the hotel and Ellie stays busy greeting guests, hanging out in guest rooms, and accompanying her many fans out on hikes and other adventures around town. "Ellie started work as a puppy and raising her has truly been a team effort. Every member of our staff plays an important role in her development," says her main handler Barbara Dennis, the director of sales and marketing at the Hyatt Centric. "It has been a wonderful experience for our year-round staff and the interns we have during the winter months." Of the many unique moments Ellie's had with guests, one of Dennis' favorites is when a young boy came down to the lobby and asked if he could read Ellie his favorite book. They sat together for almost an hour. Team Onion was an unexpected, yet winning combination for the Silver Star Ski & Sport that inspired an entire marketing campaign. 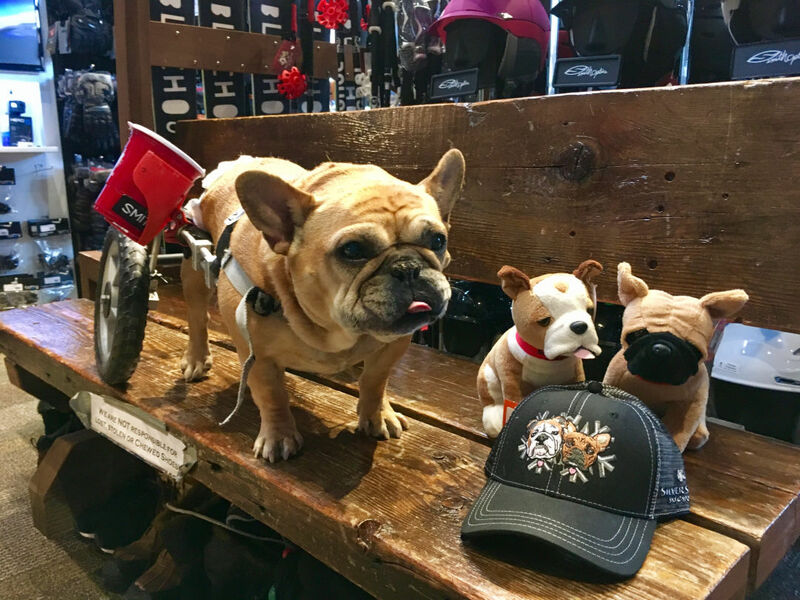 Consisting of Vidalia, the English bulldog, and Tallulah, the slightly younger French bulldog, Team Onion gear travelled the world when Park City visitors who fell in love with the dogs during their stay. Sadly, Vidalia, a.k.a Sweet Vidalia Mountain Onion, passed away this past fall having lived a long, wonderful nine and half years. Her other half, Tallulah is still kicking around and can be found at the shop most days, donning her suspenders, holding her diapers on, and/or wheelchair (she's losing feeling in her hind-side). Despite a few health issues, she's still happy and playful, greeting customers as they come in. "On nice days, she still likes to wander over to the neighboring Silver Star Cafe encouraging patrons to drop a French fry or ten," says Todd Fischer, owner and operator of Silver Star Ski & Sport. 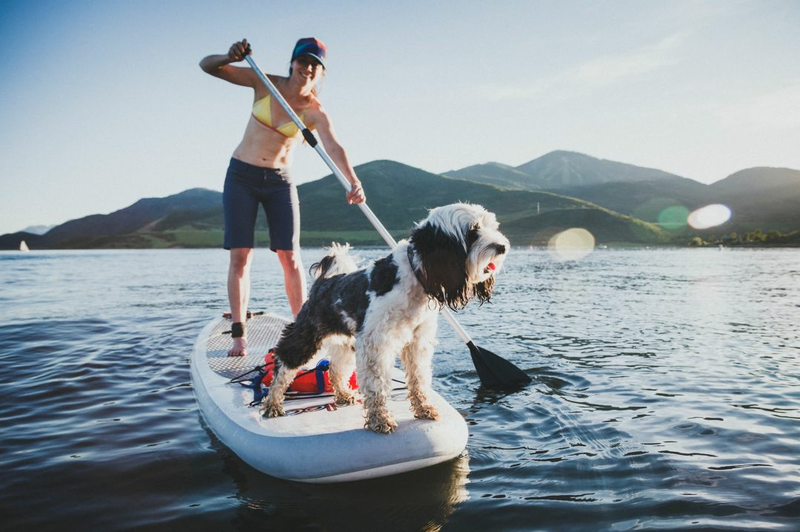 As you can see from the photo, you'd be hard-pressed to find a more adventurous pup than Sluff, a hypoallergenic Tibetan Terrier and official mascot of Park City Yoga Adventures (PCYA). Since the company was launched in 2011, she's been joining yogis on the trail and helping them perfect their downward dog. Sluff comes along for almost all the PCYA outings (except Paddleboard Yoga in the Homestead Crater), which includes everything from hiking to snowshoeing excursions and climbing, motivating anyone who dillydallies on the trail for too long. Her favorite things about working at PCYA, according to owner Julia Geisler, is stick chasing and pushing her nose through the snow. Of course, as a yoga dog, Sluff also has her very own daily routine which includes up dog, down dog, and a vigorous full-body shake. Parker and Monty Jr. all dressed up for the annual Howl-O-Ween parade. 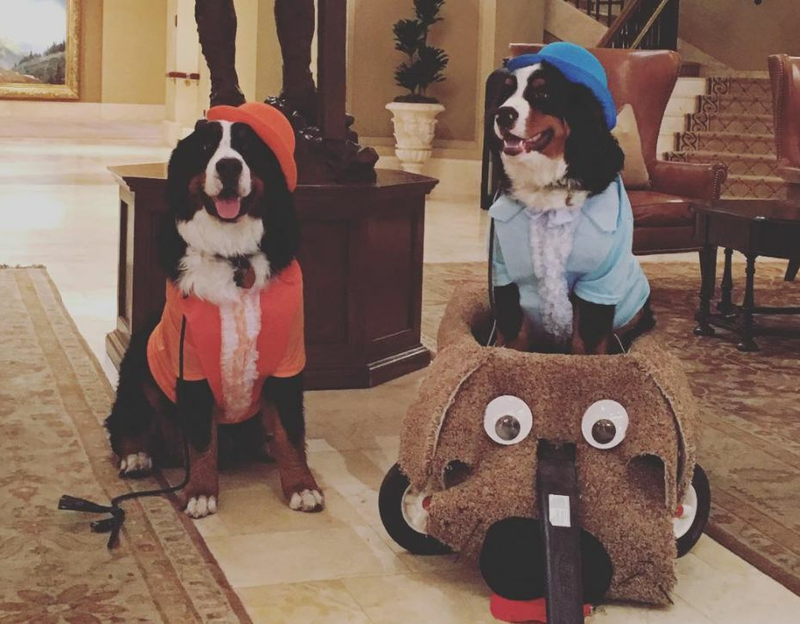 Parker and Monty Jr., the Bernese mountain dogs, live a very rough life, greeting guests, jumping into powder, and getting into general doggy shenanigans while serving as ambassadors for the Montage Deer Valley. The Montage Canine Ambassador program has been around since before the hotel even opened and was set up to make guests feel a little more at home during their stay. Parker and Monty Jr. are just at the beginning of their careers, having taken over for the now retired original Monty and his buddy Jonas. With their lovable mugs, it's little wonder Monty Jr. and Parker are some of the Montage's favorite employees. If you find yourself missing them after your stay, you can always check up with them on the Montage's instagram where they regularly make appearances.